There are a lot of buzz words surrounding internet connectivity. From DDoS to the cloud, and even bandwidth, the specifics of these terms can easily be confused. Here at OneNet, we value our customers and all you do to serve your communities. Many leaders in the organizations we serve wear several hats, and we know that technical terminology can be a little overwhelming when your background is not in network engineering. In our #HowtheInternetWorks video series, our experts aim to explain quickly and simply some commonly used technical terms, so our customers can have a clearer understanding of how network concepts affect their organization’s daily workings. Where do my pics go? We use the cloud every day, but what is the cloud and how did it get its name? In this #HowtheInternetWorks video, Sky answers your questions about the cloud. OneNet is constantly expanding its bandwidth capabilities to meet any organization’s needs. But, what is bandwidth and how does it work? In this #HowtheInternetWorks video, Sky explains what bandwidth is and how much the typical organization needs. 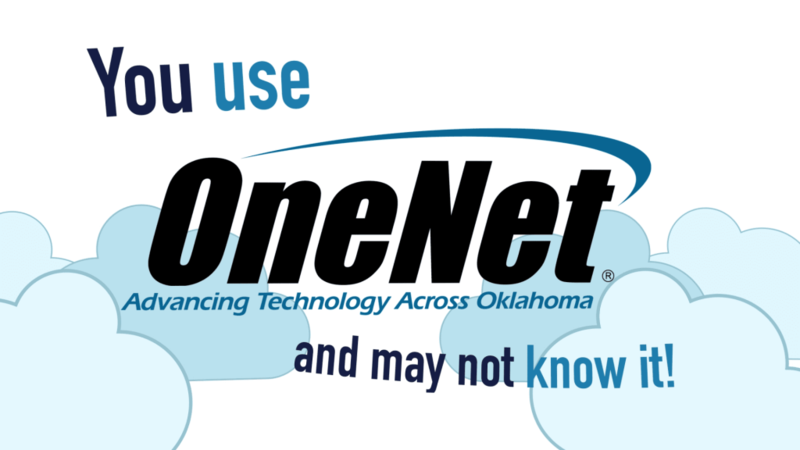 OneNet has several robust fiber connections across the state– and we’re not talking about the fiber that’s part of a balanced diet. But what exactly is fiber, and how is it different from general internet connections? Sky explains how fiber works and why it’s a valuable connectivity source in this installment of #HowtheInternetWorks . Ever heard someone mention DoS or DDoS and had no idea what they were talking about? In our first #HowtheInternetWorks video, Sky explains what these concepts mean and how they affect organizations like yours.